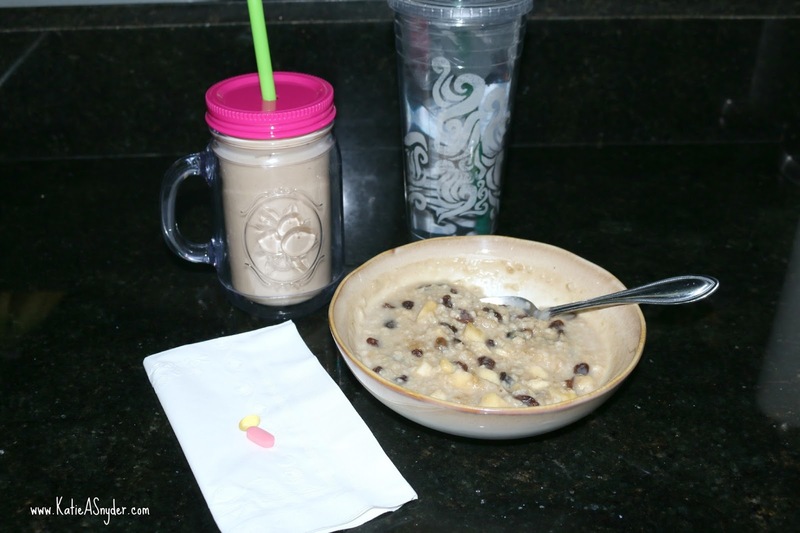 For breakfast I had my usual oatmeal, but I have been adding in unsweetened raisins just before cooking it and they absorb so much of the water and really change up the texture of the oatmeal, I have also included my iced coffee, 20 ounces of water, and my prenatal vitamins. No I am not pregnant, my doctor advised me to take a prenatal rather than a multi, to help make up the difference in a couple vitamins and minerals I’m lacking in. 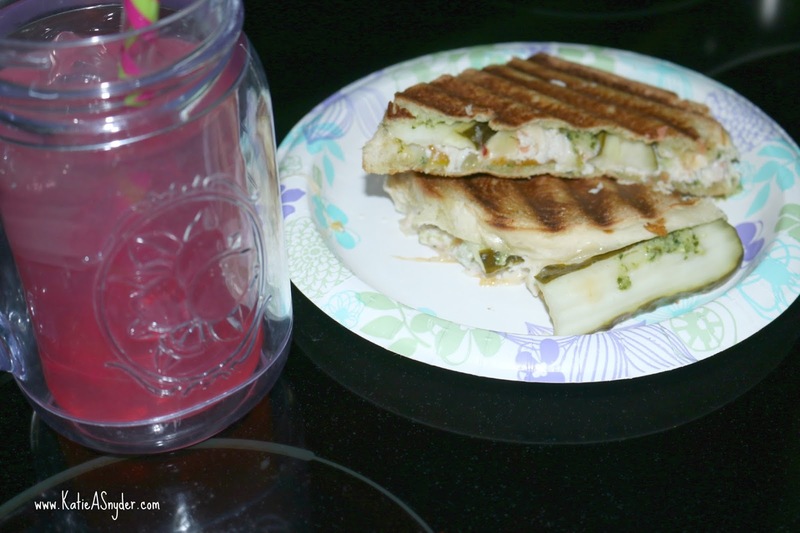 For lunch I had Splash20, (a sugar-free drink), and a grilled sandwich, this had pesto, cheese, chicken salad, and pickles, and was made using homemade bread. 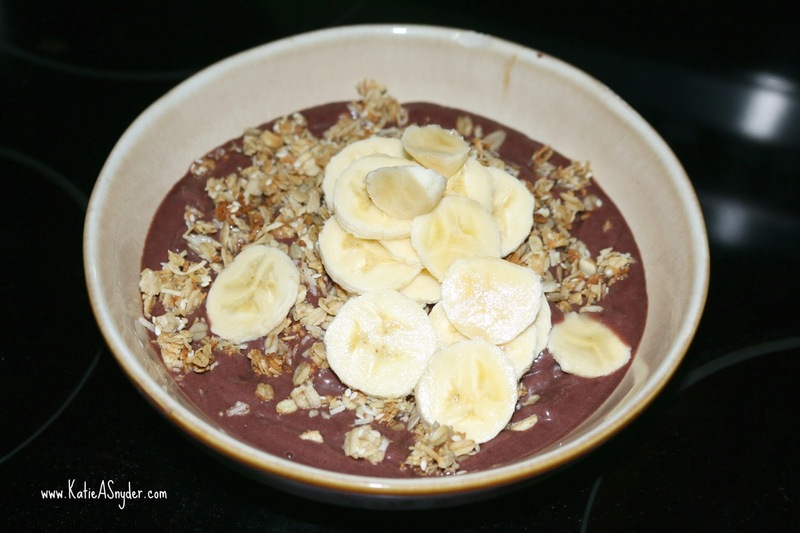 I was so glad when dinner rolled around, I mostly just wanted this day over, but I also wasn’t very hungry and wanted something sweet so I made a homemade acai bowl, and used Hawaiian Granola, and banana. That was it for my meals, I did get in my 3 liters of water which I am super proud of. What about you guys, did you meet your daily water intake goals?